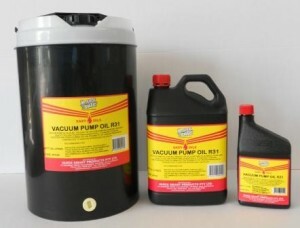 Vacuum Pump Oil R31 is an ISO viscosity 68 blended from high quality solvent paraffinic base stocks. It does not contain additives and hence eliminates the possibility of vapour pressure increases due to additive introduced volatility. Service in vacuum pumps, particularly those associated with the refrigeration trade and milk primary producers. Recommended for use in clean machines only.